Everyone wants to go back to a place after a stressful day at work to relax and get rejuvenated and that is our Home. It’s the place where we enjoy time with our friends and family and relax after a long day at work. A clean , well done up house need not be necessarily out of a Good Housekeeping Magazine but should look inviting and bring a smile on our face. Each one of us try to make our living space as comfortable and beautiful and give lot of importance to the interior decoration of our house and spend much of our time and effort in doing that. 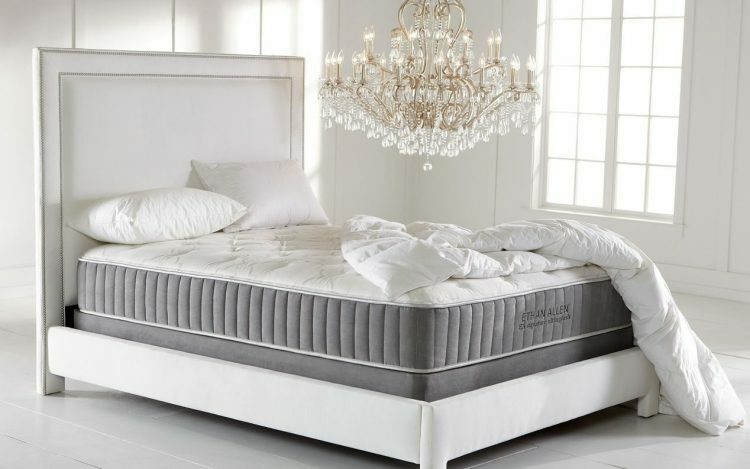 We take care in choosing every furniture, furnishings and take care to improve the aesthetics, to make it functional and suitable to one’s lifestyle. Similarly, our outdoor space should also be given much importance, which we sometimes tend to neglect. We feel that by just having a garden around with treesor potted plants in our balcony or backyard our outdoor space is done, whereas it requires proper planning and investment as well. Outdoors of our house can highly influence our mood. If we have a garden around, or a backyard or even a balcony in our house, we can create a great outdoor living space like any other room of our home. We can achieve this, bybeautiful landscaping and keeping comfortable seating using the garden furniture or outdoor furniture. 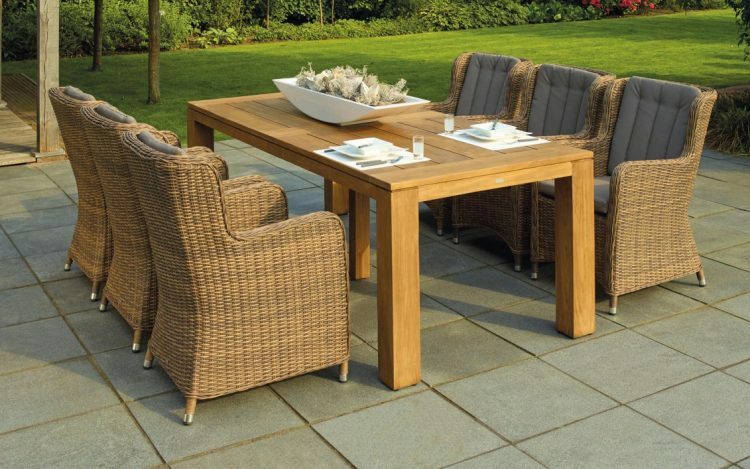 A suitable piece of outdoor furniture can become the focal point in a garden. 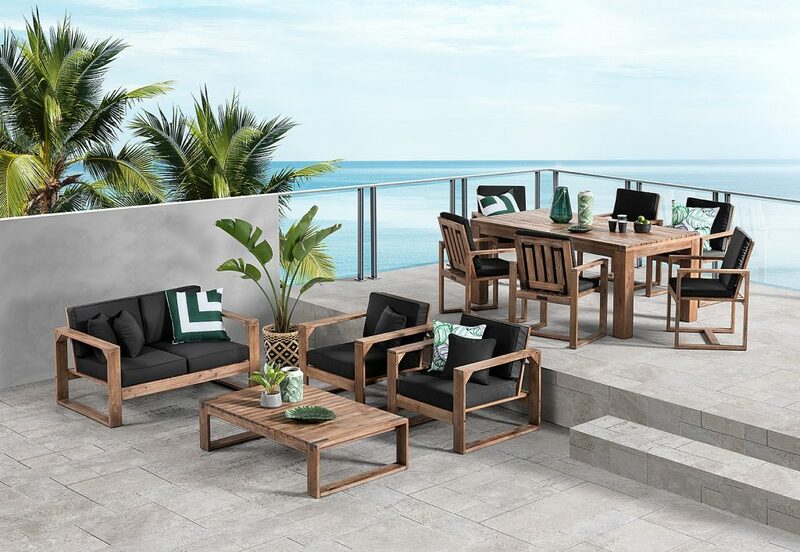 Outdoor furniture are designed for outdoor use, keeping the weather conditions in mind. It’s generally made of weather-resistant material which does not rust or get spoilt by rain. Wrought Iron: This beaten worked iron furniture is a classic choice for gardens because of its hardiness, and its ability to withstand any climatic condition, be it cold, heat or rain. It can be made into beautiful designs and are also not likely to be blown away by wind. It requires minimum maintenance and lasts for years. Stone: Different kind of natural stone is used to make the furniture, specially tables and benches. Natural stone has a raw beauty, which looks very beautiful in yhe outdoor setting. It is also weather resistant and last very long. Plastic: Furniture made of plastics are very durable and light and come in attractive colors, which can make any outdoor area very appealing and at a very reasonable price. These are some of the options with which we can go, tomake out outdoor space as an extension of our inner living space. Rattan furniture is the preferred choice among many homeowners because it is super elegant, stylish, east to maintenance, highly versatile and all in one furniture type. Now the synthetic rattan is getting huge popularity due to its weatherproof protection. 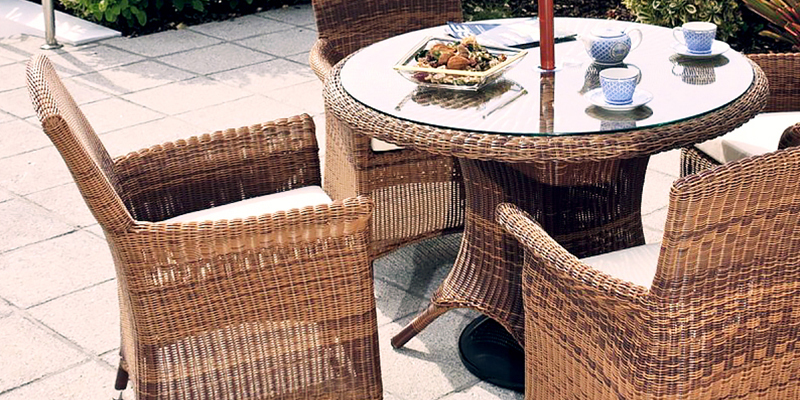 Harsh sun and rain might not affect synthetic rattan garden furniture. 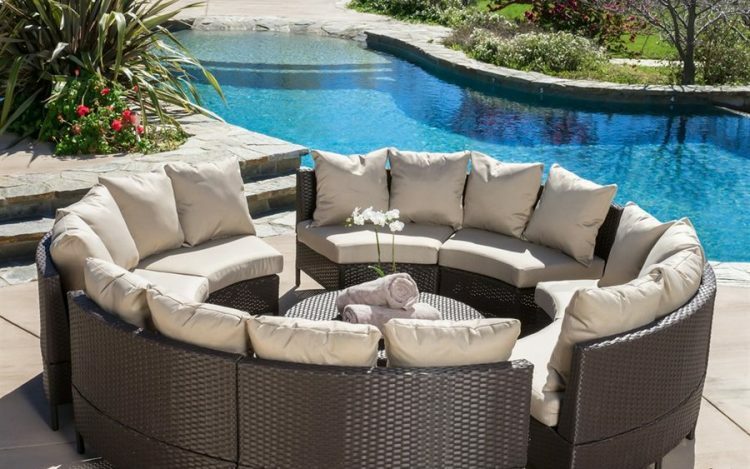 One of the best things about the rattan garden furniture is that it can offer space to your friends and family members to enjoy garden in style and comfort. Rattan sofa set might seat more than eight people so it could be the best choice to host garden parties. The best rattan garden sofa set comes with the all steel frame construction, UV protection and two year warranty. This set consists of the 3 footstools, 7 seater and glass topped coffee table. It is having strong aluminum frame for rust resistance. Leisure zone rattan garden furniture set is the best choice to balcony, patio, conservatory or terrace. 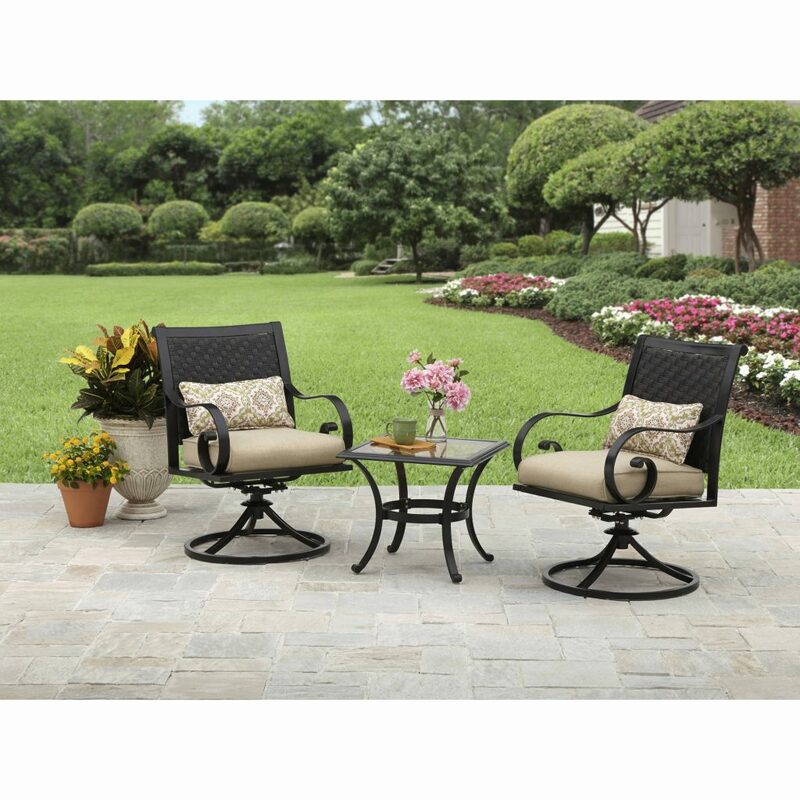 Robust set is offering excellent flexibility and it could be moved around your patio or garden. It comes with vast numbers of the properties such as weather resistant, UV light resistant, dirt repellent and water repellent. This kind of the sofa set could be easily cleaned with the soft cloth. 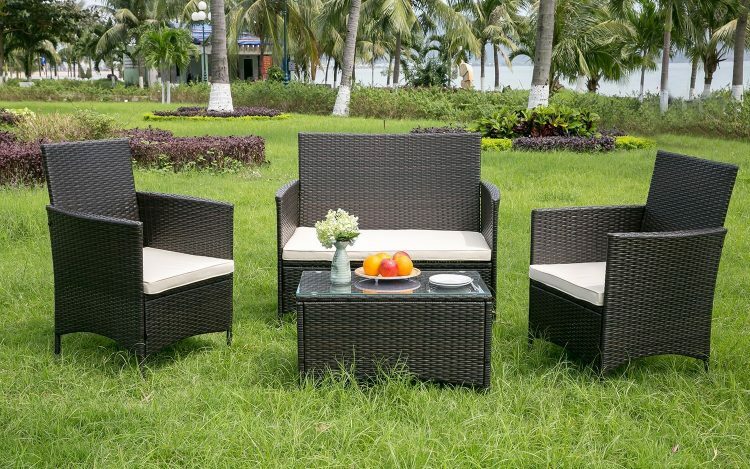 If you are seeking for the modern style and cube design sofa set then you can choose leisure zone rattan garden set. 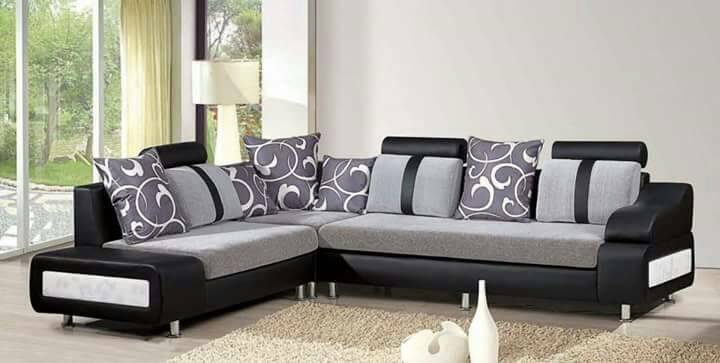 In case you are tight on the garden space then you can choose corner sofa set. 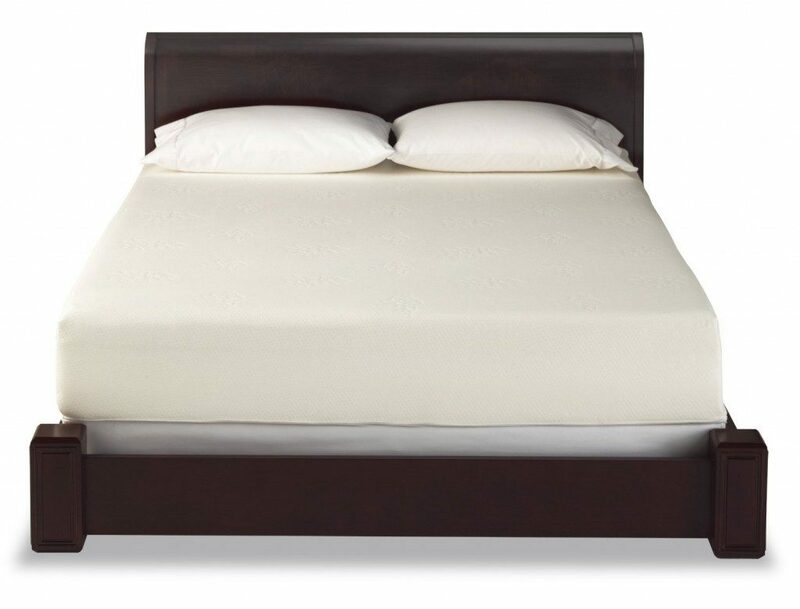 Rattan furniture and accessories are fashionable in today’s world. The big advantage of the rattan furniture is that flexible and it comes with endless array of the shapes which is handful of the colors. 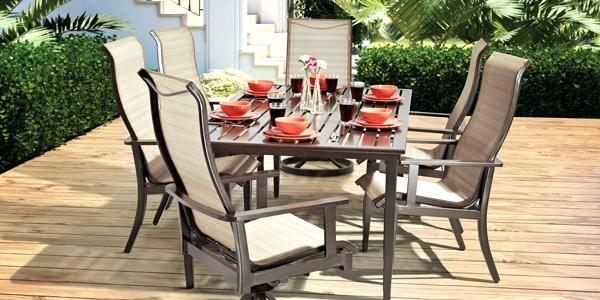 If you are surfing in online then you can find out the best garden furniture based on your desire. In a present world extensive range of the furniture is available but you are advisable to choose branded and top quality of furniture like rattan garden furniture. Once you choose rattan garden furniture then you can get useful numbers of advantages. Online portals are having vast selection of the eight seater rattan cubes, four seater rattan cubes, cube dining sofa sets and ten seater rattan cubes. If you read review that is available in online then you can know about importance of buying rattan furniture because it is designed with only high quality of material.